Goal Setting – Powerful Written Goals In 7 Easy Steps! The car is packed and you’re ready to go, your first ever cross-country trip. From the White Mountains of New Hampshire to the rolling hills of San Francisco, you’re going to see it all. You put the car in gear and off you go. First stop, the Baseball Hall of Fame in Cooperstown, New York. A little while into the trip you need to check the map because you’ve reached an intersection you’re not familiar with. You panic for a moment because you realize you’ve forgotten your map. But you say the heck with it because you know where you’re going. You take a right, change the radio station and keep on going. Unfortunately, you never reach your destination. Too many of us treat goal setting the same way. We dream about where we want to go, but we don’t have a map to get there. What is a map? In essence, the written word. What is the difference between a dream and a goal? Once again, the written word. But we need to do more then simply scribble down some ideas on a piece of paper. Our goals need to be complete and focused, much like a road map, and that is the purpose behind the rest of this article. If you follow the 7 steps I’ve outlined below you will be well on your way to becoming an expert in building the road maps to your goals. 1. Make sure the goal you are working for is something you really want, not just something that sounds good. I remember when I started taking baseball umpiring more seriously. I began to set my sites on the NCAA Division 1 level. Why? I new there was no way I could get onto the road to the major leagues, so the next best thing was the highest college level. Pretty cool, right? Sure, when I was talking to people about my umpiring goals it sounded pretty good, and many people where quite impressed. Fortunately I began to see through my own charade. I have been involved in youth sports for a long time. I’ve coached, I’ve been the President of leagues, I’ve been a treasurer and I’m currently a District Commissioner for Cal Ripken Baseball. Youth sports are where I belong; it is where my heart belongs, not on some college diamond where the only thing at stake is a high draft spot. 2. A goal can not contradict any of your other goals. For example, you can’t buy a $750,000 house if your income goal is only $50,000 per year. This is called non-integrated thinking and will sabotage all of the hard work you put into your goals. Non-integrated thinking can also hamper your everyday thoughts as well. We should continually strive to eliminate contradictory ideas from our thinking. Setting goals in each area of life will ensure a more balanced life as you begin to examine and change the fundamentals of everyday living. Setting goals in each area of live also helps in eliminating the non-integrated thinking we talked about in the 2nd step. 4. Write your goal in the positive instead of the negative. Work for what you want, not for what you want to leave behind. Part of the reason why we write down and examine our goals is to create a set of instructions for our subconscious mind to carry out. Your subconscious mind is a very efficient tool, it can not determine right from wrong and it does not judge. It’s only function is to carry out its instructions. The more positive instructions you give it, the more positive results you will get. Thinking positively in everyday life will also help in your growth as a human being. Don’t limit it to goal setting. 5. Write your goal out in complete detail. Instead of writing “A new home,” write “A 4,000 square foot contemporary with 4 bedrooms and 3 baths and a view of the mountain on 20 acres of land. Once again we are giving the subconscious mind a detailed set of instructions to work on. The more information you give it, the more clearer the final outcome becomes. The more precise the outcome, the more efficient the subconscious mind can become. Can you close your eyes and visualize the home I described above? Walk around the house. Stand on the porch off the master bedroom and see the fog lifting off the mountain. Look down at the garden full of tomatoes, green beans and cucumbers. And off to the right is the other garden full of a mums, carnations and roses. Can you see it? So can your subconscious mind. 6. By all means, make sure your goal is high enough. Shoot for the moon; if you miss you’ll still be in the stars. Earlier I talked about my umpiring goals and how making it to the top level of college umpiring did not mix with my values. Some of you might be saying that I’m not setting my goals high enough. Not so. I still have very high goals for my umpiring career at the youth level. My ultimate goal is to be chosen to umpire a Babe Ruth World Series and to do so as a crew chief. If I never make it, everything I do to reach that goal will make me a better umpire and a better person. If I make it, but don’t go as a crew chief, then I am still among the top youth umpires in the nation. Shoot for the moon! 7. This is the most important, write down your goals. Writing down your goals creates the roadmap to your success. Although just the act of writing them down can set the process in motion, it is also extremely important to review your goals frequently. Remember, the more focused you are on your goals the more likely you are to accomplish them. Sometimes we realize we have to revise a goal as circumstances and other goals change, much like I did with my umpiring. If you need to change a goal do not consider it a failure, consider it a victory as you had the insight to realize something was different. So your goals are written down. Now what? First of all, unless someone is critical to helping you achieve your goal(s), do not freely share your goals with others. The negative attitude from friends, family and neighbors can drag you down quickly. It’s very important that your self-talk (the thoughts in your head) are positive. Reviewing your goals daily is a crucial part of your success and must become part of your routine. Each morning when you wake up read your list of goals that are written in the positive. Visualize the completed goal, see the new home, smell the leather seats in your new car, feel the cold hard cash in your hands. Then each night, right before you go to bed, repeat the process. This process will start both your subconscious and conscious mind on working towards the goal. This will also begin to replace any of the negative self-talk you may have and replace it with positive self-talk. Every time you make a decision during the day, ask yourself this question, “Does it take me closer to, or further from my goal.” If the answer is “closer to,” then you’ve made the right decision. If the answer is “further from,” well, you know what to do. If you follow this process everyday you will be on your way to achieving unlimited success in every aspect of your life. Folks I hope you enjoyed this article from Gene Donohue. The new year is just around the corner and it will be my best year ever. I certainly have already started planning out my goals. The economic outlook for the country seems to be pretty bleak but I am positioning myself before a trend, a trend that will capitalize on what the economy is about to go through. I would like to invite you to contact me and become a part of my mastermind group as I work toward 2013 becoming my best year ever. Call me at 502 410-3438 and lets set up a time to talk. Give thanks – now? Are you joking? I know that with continuing world wars, company downsizing, reorganizations, mergers, acquisitions, uncertainty with recent elections, etc. it may appear to be a bleak holiday season. Recently, a lady shared that she had been on the receiving end of a “cost containment exercise.” Another related that she had been given the “grace of interruption” in her work life. A good friend of mine told me how his employer seemed to “cutting out the grey.” I even experienced “a change in direction” when I lost my job a year ago. Whoa! – great sounding terms for unexpected change. This is a great time to be anticipating the beginning of a new year. In 1937, Napoleon Hill wrote this in the original edition of “Think and Grow Rich:” “The ‘depression’ was a blessing in disguise. It reduced the whole world to a new starting point that gives every one a new opportunity.” Now I doubt that people going through the depression saw it a blessing just as those experiencing a “downsizing” today would call it a blessing. But back then it did give rise to thousands of new ventures and fresh vocational direction for many people just as I’m sure it will today. Maybe now is your time to simply give thanks for a new opportunity. Join me Nov 29th at 7pm, as Dr Stan Frager and I put together a “Mastermind Group” where we will discuss how to make 2013 our best year yet. We will discuss how we plan to capitalize on the upcoming New Year’s resolutions and how to maximize profits and generate additional streams of income for the new year. Contact me or Dr Frager for more information on the meeting location. I can be reached at (502) 410-3438. Save Money, Get Healthy, Create Wealth! 5 Tips to Help you Help Your Friends Who are Out of Work! Today, there are still close to 14 million people out of a job – People all around you. Their world has been turned upside down. Who are these people? Do we care? Of course we do! They’re our friends, our family, neighbors, our sons and daughters coming home from the military as well as members at our local church. This problem hasn’t gone away and yet the newspapers don’t seem to talk about it much anymore, even though it impacts every family and community? How can that be? So what exactly do YOU say! So what exactly do you say to people when you hear they lost their job? What advice do you give a close, dear friend? Do you act as if it didn’t happen, thinking they would tell you if they really wanted to? Do you wait for them to reach out? Well, that might be ok if you’re just an acquaintance, but it’s not ok for friends… is it? A year ago I lost my job so I can tell you from experience, they’re embarrassed and panicked. They’re thinking “What am I going to do now?” “Will I be able to find another job?” “What are people going to think about me?” These fear questions can paralyze people. They seem to lead them to the same emotional place: isolation and fear. When people feel threatened it becomes very difficult to tell ourselves the truth. A fog rolls in and takes residence in our minds and all of a sudden–we’re not able to think clearly. So who do you turn to in a time of crisis? Friends or strangers? Unfortunately people aren’t turning to family and friends and they are the Key! It’s these loved ones that can step in and call a halt to fearful thinking and can intercept us on our dark path—they can remind us that we’re not alone, we’re not isolated and that we have a future and a hope! So How Can You Help Your Friends? Here are FIVE tips to SHARE! 1. Reach Out! Not by text or email, call them or stop by their house. Tell them you heard of their situation, you’re sorry this has occurred but go ahead and shock them by saying: “Congratulations! This is the greatest day of your life!” Why? Because they now get to pick a job they truly Love, with people they Love, in a place they Love, where their family Loves it and where they can do it for all the right reasons. Best of all-You want to help! Set up a coffee/lunch to strategize next steps! 3. Teach & Review the 100/40 strategy that is outlined in the book when you meet with them for lunch! Remind them: “You Already Know Everyone You Need To Know!” In fact, explain the amazing truth that “They already know someone right now who knows another person who will introduce them to the person they need to meet.” Tell them the Good News: No more colds calls, No more mass emails, No “networking groups” you have to go to where you’re forced to sit in pairs with people you have no connection with and talk about issues and problems in each other’s lives- Going to these is one notch above a sharp stick in the eye! It’s just about friends helping friends! 4. When You make the “Extra Effort” to celebrate, encourage, and help others, it establishes stronger bonds of friendship. Each time you do it, it’s an investment that’s never wasted. And what your Friend desperately needs more than anything right now is encouragement from their trusted friend-YOU. They need you to put a firm hand on their shoulder to help stabilize them. They need you to remind them that they are a treasure chest of gifts and talents and that there are still greater things ahead for them! This is where family/friends can really make a difference in boosting morale! Your love helps them believe again! 5. Finally, be a “Moment Maker!” Most people can recall that “One Special Person” who took timeout to help them and it turned their life around for the better. When someone you admire and respect believes in you, it changes everything. In the same way, there are people who look up to you. You have the power to open the door to someone’s dreams and goals just by believing in them and letting them know it! Help a Friend today! Reach out! Creating these extraordinary moments doesn’t cost you a dime, but I promise—it pays huge dividends! 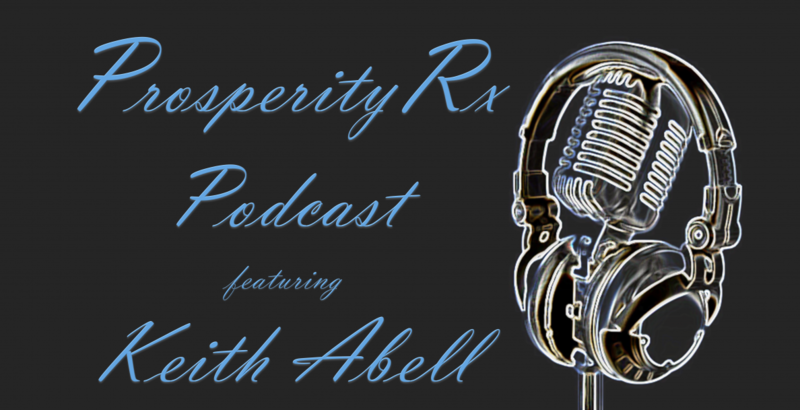 Hello Folks, I’m Keith Abell a pharmacist and a home business entrepreneur. I was just looking at some of the economic news today. I read that J. C. Penny just had a dismal 3rd quarter and analyst just don’t think they are going to make it. You may or may not be aware that hostess is in bankruptcy and they are in the middle of a labor dispute. They just announced yesterday that if enough of their 18 thousand employees don’t cross the picket lines and come in to work today then they will be closing forever. In the first 3 days this week alone some very large corporations like, NBC, Citibank, Xerox, and most of the Atlantic City Casinos announced downsizing. Many municipalities are cutting back staff in service areas like hospice care, housing for domestic abuse victims, and even fire departments. One of the biggest medical device manufacturers in the world, Stryker Corp will close their facility in Orchard Park, New York, eliminating 96 jobs in December. Worse, they plan on countering the medical device tax in Obama-care by slashing 5% of their global workforce – an estimated 1,170 positions. Smithfield foods closing a plant eliminating 400 workers. Cummins is sending out pink slips to corporate office workers as well as workers in 3 plants in Indiana. Siemens is eliminating another 100 jobs in addition to 140 already eliminated. Pierce manufacturing is laying off 325 in their first round of layoffs, they didn’t say how many more. Wingspan Portfolio Advisors a loan servicing company is laying off nearly 500 jobs 1/4 its work force. Wake Forest Baptist Medical is laying off 950 employees – that’s a healthcare company, supposedly the safest jobs in the country. Turkey Point Nuclear is laying off 277 people, mostly engineers. My brother is a nuclear engineer, I thought his job was safe no I’m not so sure. Dana Corp warned their employees that there could be a large number of layoffs citing that $24 million in healthcare costs due to Obama-care is driving their layoffs. World Media Enterprises, a part of Berkshire Hathaway as well as GE Healthcare in VT announced cutbacks. Some of the municipalities announcing lay-offs in the last few days include: Toole County UT, Bayou Cane LA, Hamilton Fire Department in OH (near Cincinnati), Mississippi Co AK, Ostego Co NY. This just illustrates that those of you that have government jobs, you’re not safe either. On top of these layoffs, MANY companies have announced that they are cutting their staff to a 29 hour workweek. Why 29 hours? Because if they work 30 hours under Obama-care program then they have to be given full time benefits. I personally have felt the effects. I’m a pharmacist! I lost my job last December and have not been able to find full time pharmacy employment since. I personally know of 5 other pharmacist that have lost their jobs as well, one of which works in a very rural part of KY were just a few years ago they were paying huge amounts of money up front just to get people to go there. What Happens next, my prediction is with the huge number of people getting ready to fill the unemployment system and food stamp system they will completely overwhelm the system. What does that mean, I don’t know but I do not believe it is sustainable. The only answer coming out of Washington is more taxes and I just don’t see any way possible that increasing taxes is going to help in the long run. Many more companies are on the brink of collapse and I just don’t see how they could sustain another tax increase. All of us know someone that has been laid off, or downsized or someone that will be getting that notice over the holidays. I personally know what that is like since it happened to me December 11, 2011. Fortunately for me, I had a Plan-B in the works. When I got the announcement I had just finished a two year project looking at all sorts of home based business opportunities. Literally, just a month before my lay off I had made a decision on the direction I was going to go. When I got that notice of termination my wife and I didn’t panic. Since we were just starting out we didn’t know how things would turn out but we didn’t panic. We turned our attention on our faith and on the new opportunities that lay ahead. It has been a year now and I am not going to sugar coat it, it has been rough but with perseverance and hard work we have made it work and I know you can too. I believe I have the answer for you as well. I can’t stress this enough but NOW is the time to talk with me. NOW is the time to start planning. Maybe you’re not be ready to join right away but I encourage you to take a look at what I am doing. I believe that as a whole 2013 is not going to be a good year for a great number of people. I also know the 2013 is going to be my best year yet. I want to help as many people as I can to prepare, to be ready for what is about to come. I encourage you to start working on that second stream of income NOW so you will be prepared when the inevitable occurs. You feel depressed. No more career. No more regular paychecks. All of a sudden, how do you feel? And you would be at work faithfully, Monday through Friday, working that overtime so you could retire. And you would be excited about the opportunity. Well, we have the same opportunity to retire with our network marketing business. We ask people to spend one hour a day, Monday through Friday building a network marketing business. And all you have to do is talk to some people. And you don’t have to worry too much about what you say or how good you are, because you know what? You’ll get better. The longer you do network marketing, the more you’ll learn. And the fourth month you get better and better. So – would you take advantage of that opportunity? If you are like most people, you will want to take advantage of this wonderful opportunity. But, you won’t do it. Here is why you won’t do it. Yes, you’re going to have some doubt. You will have a belief problem. And that’s pretty natural. So here is what we are going to do to help you with your belief. To encourage you along the way, every so often we’re going to send you a check in the mail — just to keep your spirits up as you build your two-year business. And that is why you want to start your business today. have, which habits would you choose? Confidence is an outcome of developing many different habits. Here are seven essential habits you need to develop in yourself in order to become a highly confident and successful person. Brian Tracy once said that “confidence is a habit that can be developed by acting as if you already had the confidence you desire to have”. Even though acting as a confident person when you’re shy won’t make you a confident person overnight, it will help you develop an appearance of a confident person which will attract confident people to you. – imitate successful and confident people – find a “self-confidence role model” (it can be an actor, businessman, scientist, thought leader etc.) and imitate him or her. Keep in mind that it isn’t about being a fake – simply imitate things which are in harmony with your nature and which make you appear more confident. Every decision a highly confident person makes is an unwavering decision. There is no “IF”, there is only “WHEN” and “HOW”. Since we make decisions every day, it’s one of the most important habits of highly confident people. If you want to achieve something, you have to commit yourself to it. It’s a basic principle of all confident and successful people. Make things happen. No backing off, no giving up! Learn from Woody Allen’s biggest life lesson: stop talking about things that you want to do and start doing these things. There is no self-confidence (and no success) without showing up. Have you ever noticed that rich people and poor people usually don’t hang together? It isn’t because the rich don’t want to do anything with the poor because they’re poor – it’s because poor people exhibit kind of behavior and mentality which the rich don’t relate to. Can you blame successful people because they don’t want to spend time with people who have completely different views on life? It’s the same with self-confidence. In school, popular confident kids usually stick together and shy kids are outside of their social circle. Later in life, most people who were shy in school still don’t interact with confident people. As a result, they remain shy for the rest of their lives. If you want to evolve, your social circle has to evolve with you. Confident people know that if you keep spending time with people who are more confident than you, you’re going to become more confident as well. If you keep spending time with people who are shy, sooner or later they’ll keep you down. Choose the right people to spend your time with. Self-confidence and self-improvement go together. Highly confident people became and will remain confident because they decided to start a never-ending self-improvement journey. Learning something new every single day is one of the most crucial habits all confident and successful people have. Highly confident people never blame anyone for their own mistakes. Every successful person will agree that if you want to learn how to believe in yourself, you have to realize that you are responsible for both your successes and your failures. Confident people are people on whom you can depend. You can’t become a leader if you don’t deliver on your promises. People who believe in themselves are the same people other people believe in. However, first you have to learn how to be true to your word to yourself (by setting goals and not backing off as explained before) and later you’ll earn the trust of other people. As most people know, trust is the most important part of doing business. Imagine that you’re an investor. Would you trust an entrepreneur who would say that he’s going to provide you with a business report within 48 hours and then who wouldn’t deliver on his promise? Exactly. Being true to your word is an essential habit of all confident people who want to achieve success – whether in business, relationships or life in general. What are you waiting for? Time to get to work on your habits! Here’s a great article from legendary success teacher Jim Rohn. Each of us has two distinct choices to make about what we will do with our lives. The first choice we can make is to be less than we have the capacity to be. To earn less. To have less. To read less and think less. To try less and discipline ourselves less. These are the choices that lead to an empty life. These are the choices that, once made, lead to a life of constant apprehension instead of a life of wondrous anticipation. And the second choice? To do it all! To become all that we can possibly be. To read every book that we possibly can. To earn as much as we possibly can. To give and share as much as we possibly can. To strive and produce and accomplish as much as we possibly can. All of us have the choice. To do or not to do. To be or not to be. To be all or to be less or to be nothing at all. Like the tree, it would be a worthy challenge for us all to stretch upward and outward to the full measure of our capabilities. Why not do all that we can, every moment that we can, the best that we can, for as long as we can? Our ultimate life objective should be to create as much as our talent and ability and desire will permit. To settle for doing less than we could do is to fail in this worthiest of undertakings. Results are the best measurement of human progress. Not conversation. Not explanation. Not justification. Results! And if our results are less than our potential suggests that they should be, then we must strive to become more today than we were the day before. The greatest rewards are always reserved for those who bring great value to themselves and the world around them as a result of who and what they have become.